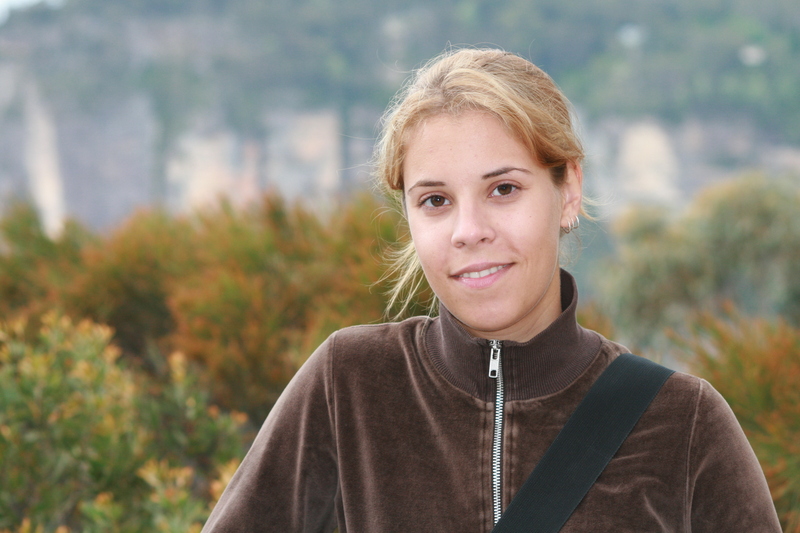 Part 8 of the 10-Days-Special on Australia is on the Blue Mountains, a mountainous region in New South Wales, Australia. It borders on Sydney’s metropolitan area, its foothills starting approximately 50 kilometres from the city, easily reached by train which makes it a great day trip from Sydney. After about an hour ride, you’ll reach Katoomba, where you can get a ticket for a bus tour that goes to the major attractions and you can hop on and off. This gives you the chance to get easily from valley to waterfall and to walk from one stop to the next. The ticket for the bus comes with a map. 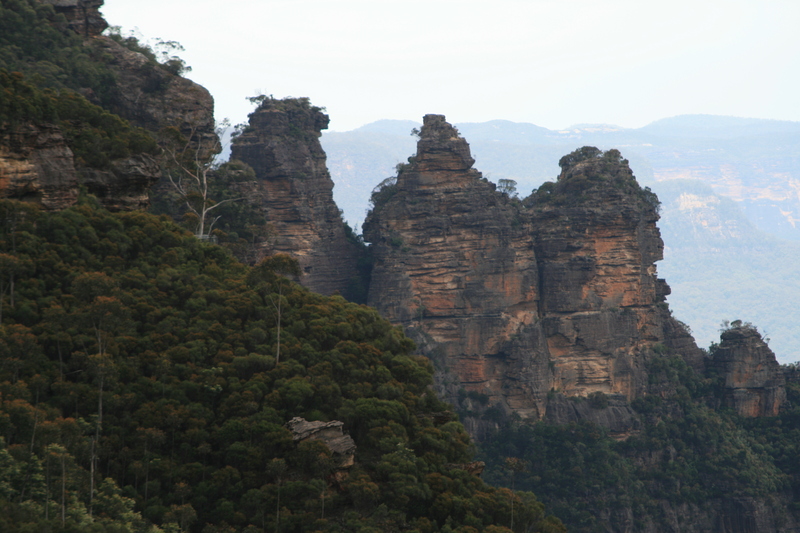 Especially exciting is the look out over the valley where you’ll find the signature rock formation call the Three Sisters. Close to them ou’ll find some more interesting view points and rock formations. Here you can also see best why the Blue Mountains are called blue: it’s the colour the range takes viewed from a distance. The Blue Mountains make a great day trip from Sydney and give you a completely dfferent view on this part of New South Wales: not only is there this mega city Sydney, but all is surrounded by nature, millions of years old ranges and forests. Just make sure you check the weather forecast. My first trip to the Blue Mountains lasted only an hour as it was so foggy, that you could only see for about one meter in front of you, which is a bit annoying if view points is what you are here for. 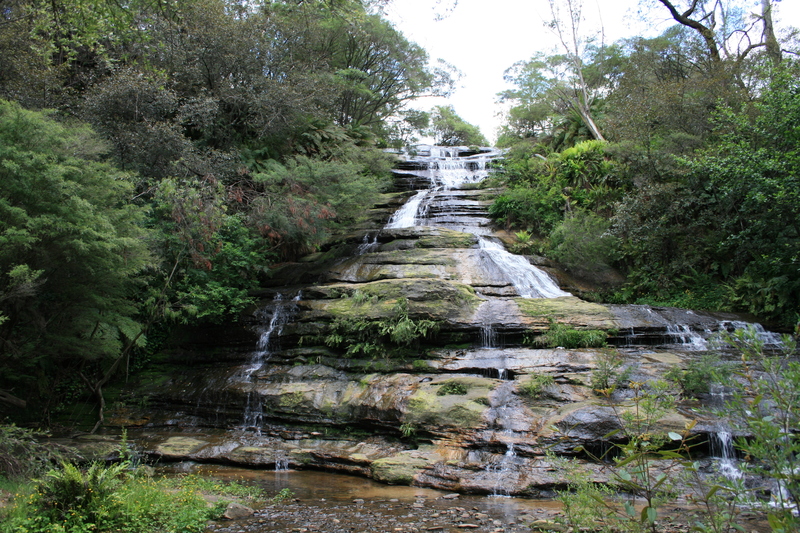 This entry was posted in Australia and tagged Blue Mountains, Nature, Sydney, Walk by kathatravelling. Bookmark the permalink.